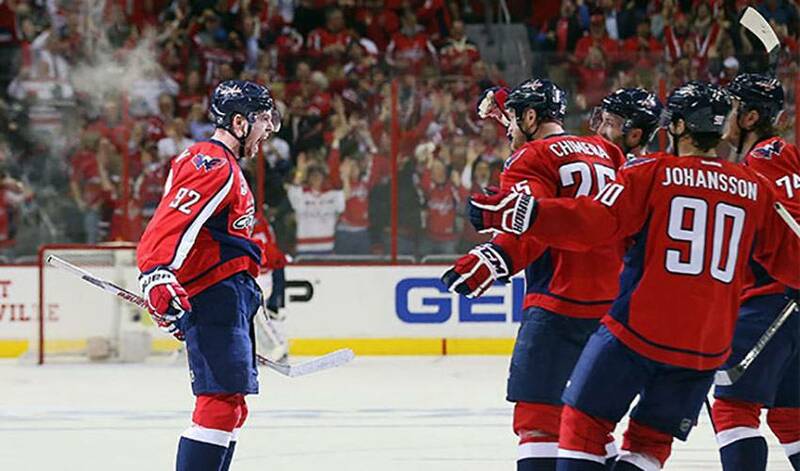 It was Capital gains for Evgeny Kuznetsov and his Washington teammates on Monday night. A Game 7 win and a date in the second round of the Eastern Conference playoffs against the New York Rangers was the result they were looking for. Tied 1-1 with the New York Islanders, it was Kuznetsov who played the role of hero for the Caps, netting the game-winning marker with less than eight minutes to play in regulation. The 22-year-old forward has been clutch in his first NHL post-season action, including a three-point performance in Game 5. Kuznetsov had 37 points, including 11 goals, in 80 regular season games in 2014-15. STAT PACK: Kuznetsov had two shots on goal in Game 7, taking 20 shifts for a total of 17:45 minutes of ice time. NEED TO KNOW: In the 2011–12 KHL campaign, Kuznetsov was chosen to play in the KHL All-Star Game. He also won the Continental Cup as a member of Traktor Chelyabinsk. IT’S A FIRST: Kuznetsov scored his first NHL goal on March 25, 2014, a short-handed tally against the LA Kings that tied the game with under one minute left. GOLDEN YEARS: The 26th overall pick in the 2010 NHL Entry Draft won gold with Russia at the 2011 World Juniors Championships, and the 2012 and 2014 World Championships. NINE IS JUST FINE: In a game at the World Junior Championships against Latvia on December 29, 2011, Kuznetsov registered three goals and six assists for nine points in a 14–0 win for Russia. It set a record for most points by a Russian player at the event, and is the second highest total in a game in the history of the tournament. Hall of Fame star Peter Forsberg (Sweden) holds the record. HONOURABLE MENTIONS: Tyler Johnson (2G) is still lighting the lamp for the Lightning, tied with Vladimir Tarasenko for the playoff lead in goals with six. Nikita Kucherov had three assists and was a plus-three in Tampa’s 5-2 win over Detroit in Game 6. Tomas Tatar (2G) had both Detroit goals. Talk about your Capital gains. Washington’s star centre has been front and centre in the 2018 Stanley Cup Playoffs, averaging more than a point per game as the Eastern Conference champs seek their first crown.